Windsor Regional Hospital is getting a PET/CT scanner this spring. WRH President and CEO David Musyj said the multi-million dollar machine means hundreds of patients in Windsor and Essex County requiring PET/CT scans to diagnose medical conditions will no longer have to travel hundreds of kilometers to hospitals in London, Hamilton, Mississauga and elsewhere. The arrival of the PET/CT scans, long the standard for helping diagnose cancers, will support some 600 patients a year in the Windsor-Essex region and beyond. The machinery will be installed inside a small addition to be constructed adjacent to the Cancer Centre on the south side of Met Campus. The goal is for the PET/CT scan access for patients to begin in late April or early May 2019. Construction of a unit to house the scanner will begin shortly. Although initial estimates and plans were to open the PET/CT suite in late 2018, construction cost estimates required WRH to reassess options and land on a positive yet less costly solution to accommodate the scanner on an interim basis at a land-locked campus. It will be situated in a location that will allow it to be transferred to a new hospital. In the meantime, patients that have to travel for a PET/CT are being supported through the generosity of the Windsor Cancer Centre Foundation. 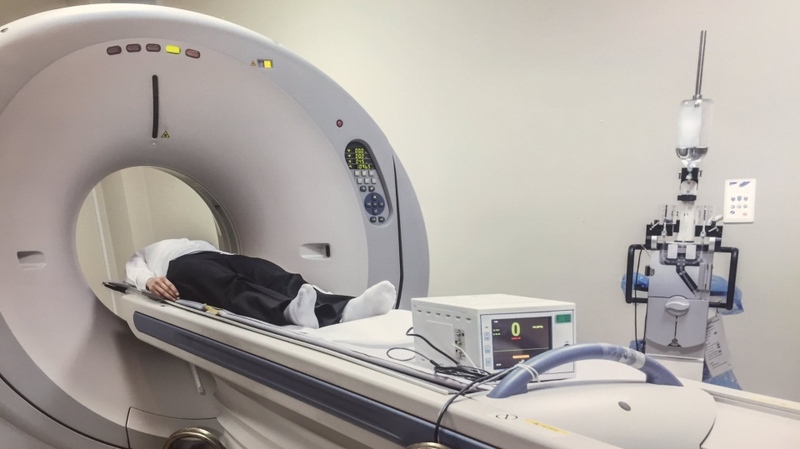 A PET (Positron Emission Tomography) scan is a nuclear medicine imaging test that uses a form of radioactive sugar to create 3D colour images to show how a body’s cells are working. A CT (Computed Tomography) scan uses special X-ray equipment to produce multiple images or pictures of the inside of a body, which can then be interpreted by a radiologist on a computer monitor.